Great pitch for blogging and for A to Z! 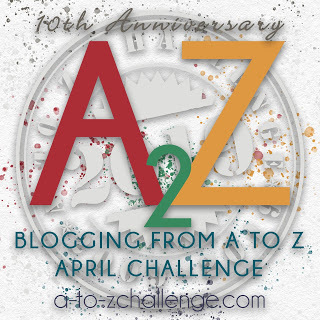 Just dropping in from the road trip (A – Z Blogging Challenge). Amen, Mary Lou! *YOU* hit the nail on the head with this one! And I love the idea of Blog2Print — that sounds like a fantastic way to preserve a blog and turn it into a tangible remembrance! Isn’t blogging amazing Mary Lou? I started out with no idea what I was doing – no research and no profile pic or name. I was so scared of the whole Big Brother thing of the internet – now I don’t care, I love the friends I’ve made, the chance to clear my head and articulate my thoughts – the list could go on forever! Hi Mary Lou, As a family historian I think your blog writing about your thoughts and life events through the years is wonderful. A book on this writing would also be great for future family wondering about their ancestor. I love the idea of a book for the A to Z challenge! Thanks for sharing this info! I also began blogging in Oct -Nov last year and I am having a blast. It’s so much fun! And I loved your AtoZ posts as well. Great to see your letterrings in print – congratulations. loved the drawings ..and it is so good to know that we have achieved something by merely participating in the challenge.. Thank you for the Blog2Print link–I was looking for a way to print the posts from the challenge, as I feel quite proud that I completed it! I look forward to reading more of your work. Your ‘about’ page is so inviting and comforting! Your book is cool. I’ve heard of that service, but have never seen the finished product. I’m off the read the reasons why I should blog. After all these years I have my own mental list, but I’m interested in reading what someone else has to say. Loved this post! And I enjoyed the links…great A to Z theme!